With Doomsday Clock in full swing, questions are being asked about where Dr Manhattan is hiding in the DCU. The possibility’s been raised that he might be masquerading as someone, perhaps a hero, but if so, then who? Captain Atom is the obvious – perhaps too obvious – choice as he was the character Manhattan was based upon in the original Watchmen series. Superman or Dr Fate are possibilities – one’s super strong, the other could be masquerading Manhattan’s reality altering abilities as magic. Maybe he’s Zatanna – he could easily swap his gender if he wanted to hide in plain sight. Or maybe . . . maybe he’s not a person at all . . . maybe he’s a thing . . . an object . . . carefully placed to listen in on superhero conversations . 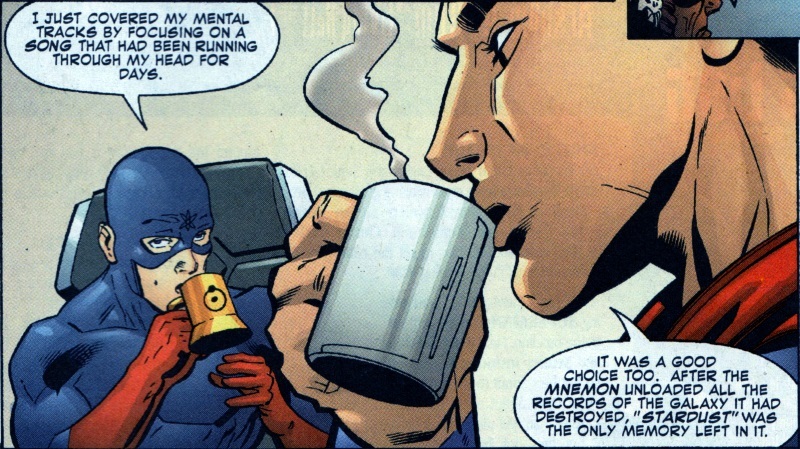 . .
Can we get a close up on that mug the Atom’s using? Oh my God! He’s here, everybody – Dr Manhattan’s here! Masquerading as a coffee mug! I, for one, did not see that coming. Scan from JLA #77, March 2003. 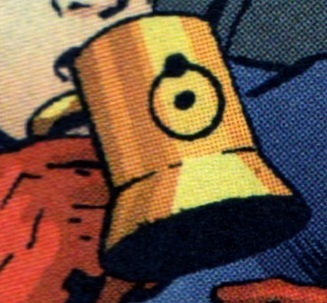 And if Doomsday Clock references this mug, you read it here first, folks. 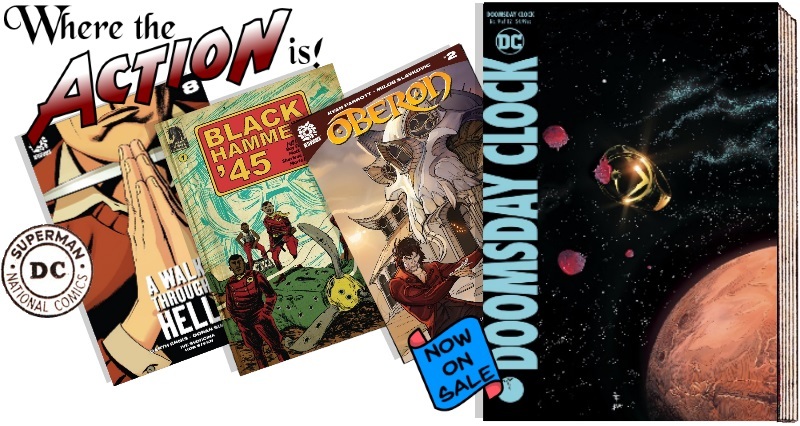 The first six pages of Doomsday Clock have been released, along with an interview with writer Geoff Johns. And it looks like Ozymandias is in trouble, wanted for the murder of millions of people in the New York massacre. 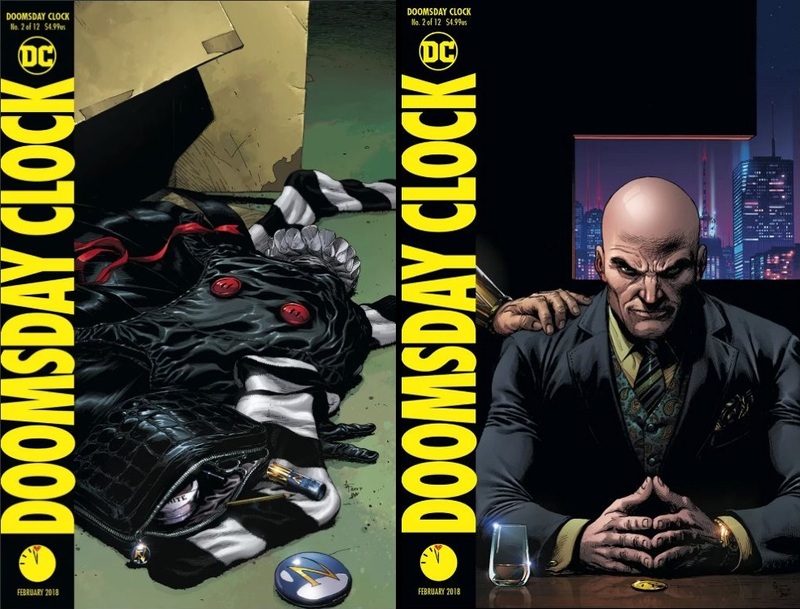 Gary Frank’s art looks gorgeous, similar enough to Gibbons that it retains the Watchmen feel but still his own. 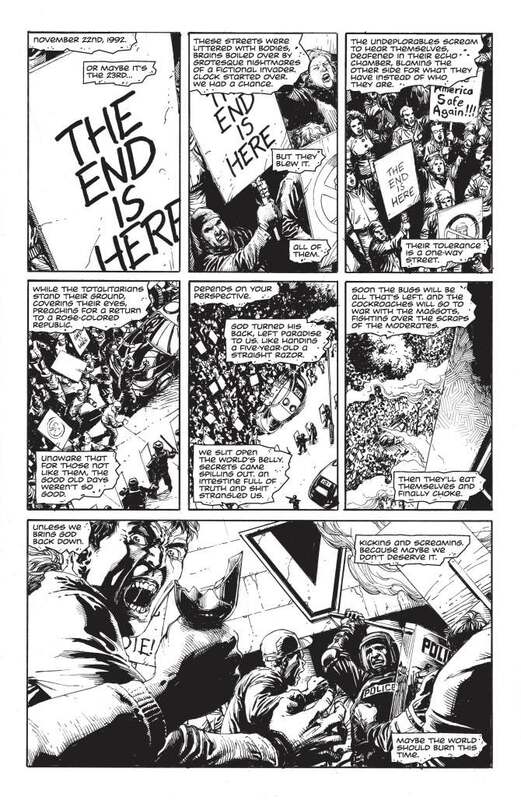 Johns said that Doomsday Clock isn’t necessarily a political book, but it is a book “about extremes.” He thinks people are being forced to pick strong sides, but Rorschach being an “apolitical” figure, refuses to pick a side. Rorschach “apolitical”? The people to whom he mails his journal, whom he describes as the “only people [I] can trust” is the New Frontiersman, a right wing rag that’s about as far from apolitical as you can get. If Johns has mis-read Rorschach, that’s not a good start.